“I feel more empowered after the training course, as a result of having to play so many roles of the excluded people” says Nite Pallaska, participant in the seminar “From Vision to Reality!”. 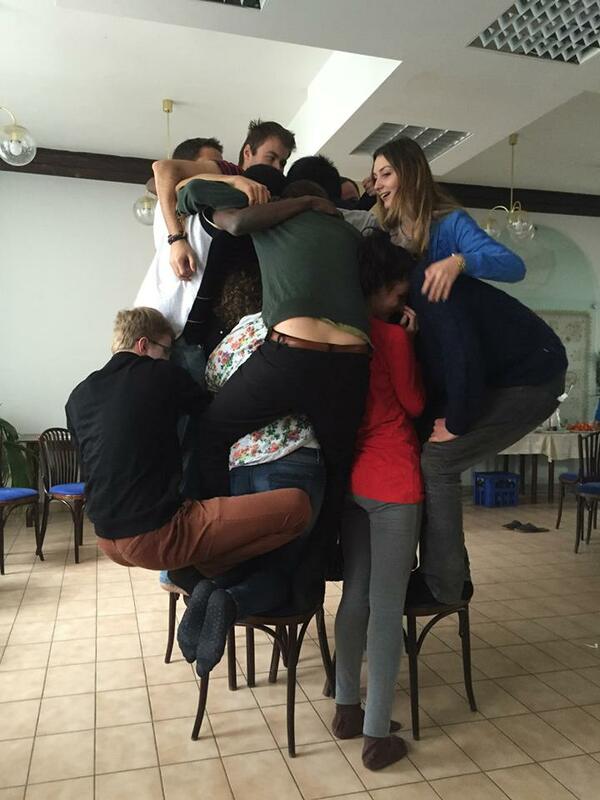 From 22nd to 29th of March 2015, 17 young people from different cultural, religious and geographic backgrounds gathered for the seminar “From Vision to Reality: Young people developing models of inclusive participation”, which took place in AGAPE Svaty Jur, Slovakia. It was organised by EYCE with the help of young 5 volunteers from around Europe and supported by the Council of Europe. The main objective was to empower young people to address the issues related to social inclusion, the roles of ethnic and religious communities, and to learn tools to promote inclusive society. To begin the work towards this aim, the participants were given a small historical background about the concepts of inclusion, exclusion, majority and minority. These terms provided basic definitions, essential for the understanding of the issues at hand. Through unfair games, role plays and other non-formal education methods, the participants had the opportunity to experience personally what makes a person or a group excluded from society. Two experts were invited to speak at the event. Mr. Peter Pollak is the first Roma Member of the Slovak Parliament, and he shared his experiences and struggles, his successes and obstacles to make Slovak society more inclusive. In an informal interview, participants asked Mr. Pollak a variety of questions about the Roma community, the importance of education, the fear of assimilation and the fight against stereotypes and prejudice. The second guest speaker Dr. Benjamin Simon from Germany offered a theological approach to the issue. Through different passages of the Bible, he showed the difficulty of this task, since inclusion is not a biblical term and there are not a lot of theological studies about it. Yet, participants learnt that diversity is a notion coming from the Creation and inclusion is implied in many different passages. A Bible study allowed participants to draw links with today’s society and to better understand the role of spirituality in social inclusion. During the week in Bratislava, two field visits were offered to the participants. The first took them to the Milan Šimečka Foundation, focused on Holocaust education and survivor care. There, participants were told about the different minorities existing in Slovakia, a small comment on the policy making of the government and a different point of view on Mr. Pollak’s work. The second visit was with with the Director of the Religious Department of the Slovak Ministry of Culture, Dr. Jan Juran, and two of his representatives. With them, the participants discussed the different religious minorities in Slovakia, and the complex problem of Churches’ registration. To help the participants to implement in their own contexts the vision of the inclusive society they have created as the outcome of the training course, they could take part in two workshops each. Teh workshops offered skills in very practical approaches: advocacy and the general rules behind it; successful campaigning, by studying previous campaigns that either worked or were not so good; project planning, or how to best plan a 3 year campaign; conflict management and how best to restrain it. Many interesting and inspiring ideas were shared and we wish the participants the best of luck in implementation them! 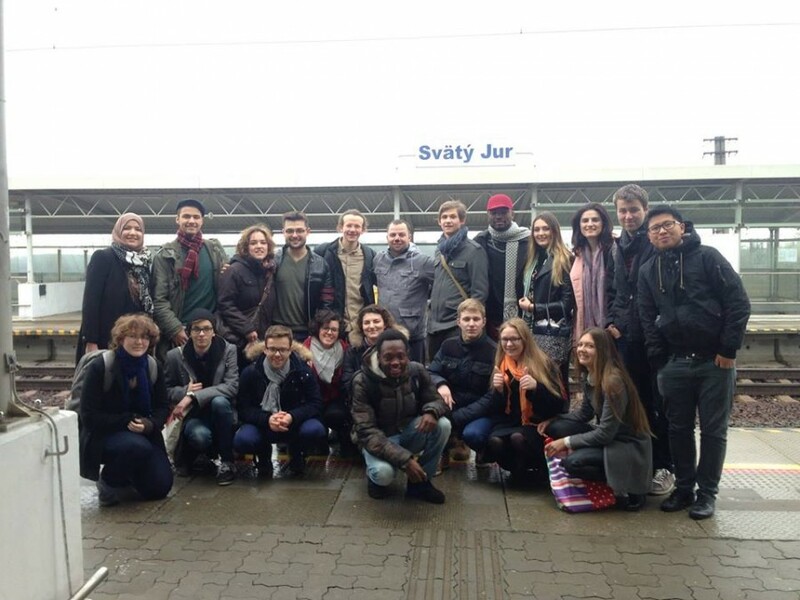 EYCE would like to warmly thank our hosts in Slovakia for their warm welcome! The project was supported by the Council of Europe and Bread for the World.